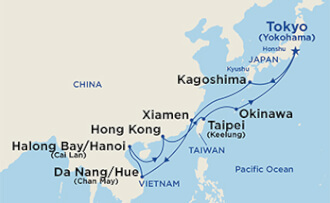 [Diamond Princess] Asia FIT Offer: China, Taiwan & Vietnam - Limited time of great deals and discount! (1) Promotion only applicable to departure: 15 Oct 2019 . (2) Fare price excludes an onboard gratuity of USD 14.50~15.50 per person per night which collected onboard. (3) Full payment is required upon booking. (4) Administration fee and non-refundable 20% of total charges will be imposed for any cancellation made to booking after booking is confirmed. Besides, penalty charges will be applied according to cancellation policy. (5) One name change is allowed per cabin up to 21 days prior to the sailing. A total replacement is considered a cancellation. (6) All passports/travelling documents must have at least 6 months validity as at the end of sailing period and guest should hold a valid visa based on your travel destinations. 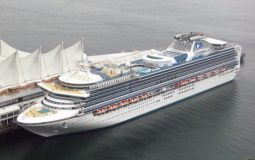 (7) Princess Cruises reserve the right to withdraw this promotion or amend the price any time without prior notice.